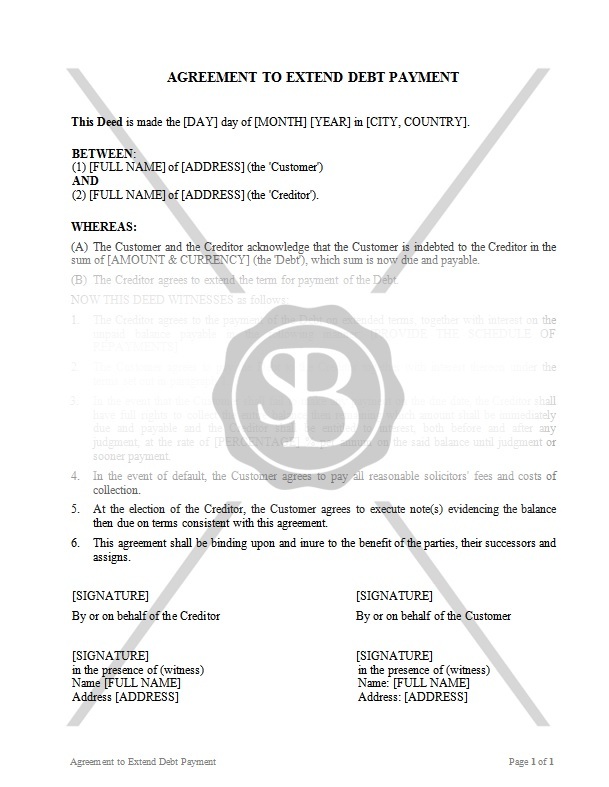 This Agreement is concluded between two parties - the Customer and the Creditor. The Customer is indebted to the Creditor and both parties agree to extend the time frame of the debt repayments. The Agreement sets out new terms of repayment of the debt.